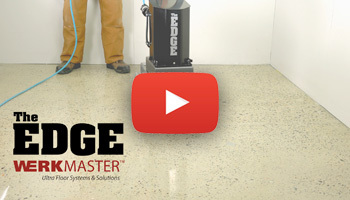 Get up to 1/8” (3 mm) of the wall. 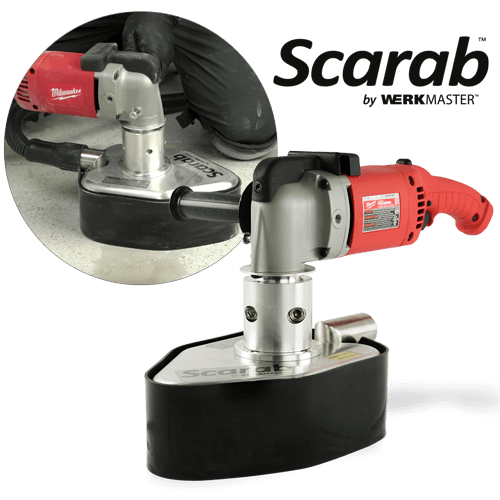 Use the WerkMaster Scarab to grind, polish & refinish on concrete, hardwood, decks, terrazzo, stone, and VCT tile. 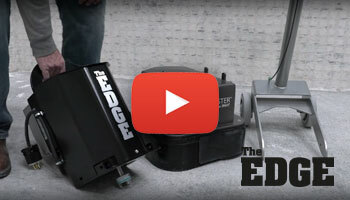 The tool for professional contractors and DIYers. 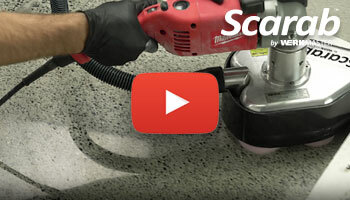 Watch this quick overview showing the Scarab’s features and easily prepping & polishing a concrete floor.